As an avid rider, you need to do more than just invest in a high-quality bike. You also need to get some basic riding accessories – such as helmets, boots, gloves, pants, jackets, and the best bike glasses the market has to offer. 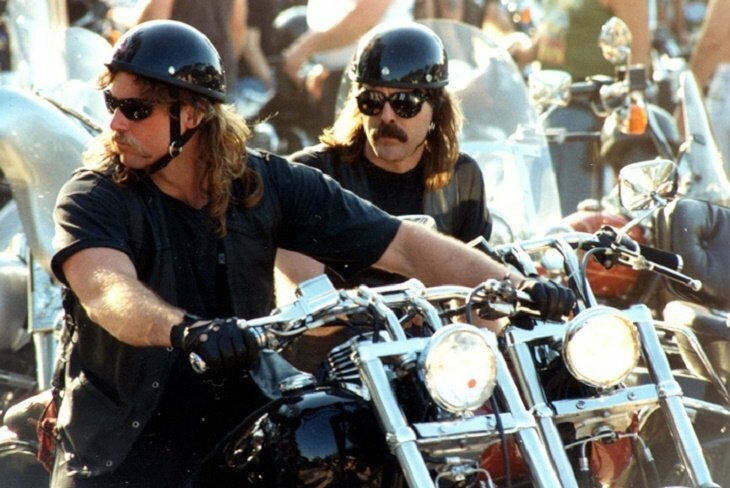 If you have a full face helmet, of course, you won’t need sunglasses. However, if your helmet is open-faced or short, then you certainly need to start shopping for glasses or riding goggles to protect your eyes. Apart from making a fashion statement, the motorcycle sunglasses you choose will also keep you safe from anything that would harm your eyes and face. Depending on the make and model you pick, the cost of the best motorcycle sunglasses should not go below $10 or above $200 – unless you are willing to compromise on price. Another feature you must look for while shopping is the comfort and fit of the goggles. There are many features you should look out for as you search for the perfect riding glasses. These include, but are not limited to safety, comfort, fit, and style. You should also find a pair (or several) that won’t disrupt your vision or lead you into an accident due to poor visibility. With so many different types of bikes and riders, the market does have a wide variety for you to choose from. You can, for instance, pick between clear and tinted lenses, as well as between off-road and street goggles. The one constant among all of these options is that they should have foam lining, which is added to ensure the sunglasses last longer even with repeated use. Safety is, perhaps, the most important thing you need to think through. Every small feature on the sunglasses will count. You just need to ensure that everything works out perfectly to maximize your safety and security. That said, the motorcycle sunglasses are designed to protect your eyes from the elements sand, dust, wind, rain, sun, hail, and even bugs. Polycarbonate lenses are as light as they are flexible. They are, additionally, less susceptible to scratching particularly if you compare them to their glass counterparts. In the same way, polycarbonate comes with in-built UV protection to keep away the harmful rays of the sun and ensure they do not cause undue harm to your eyes. Most of the best motorcycle sunglasses come with scratch-free polycarbonate lenses that are coated all over with advanced hardening material. The UV rays emitted by the sun are harmful to human eyes. 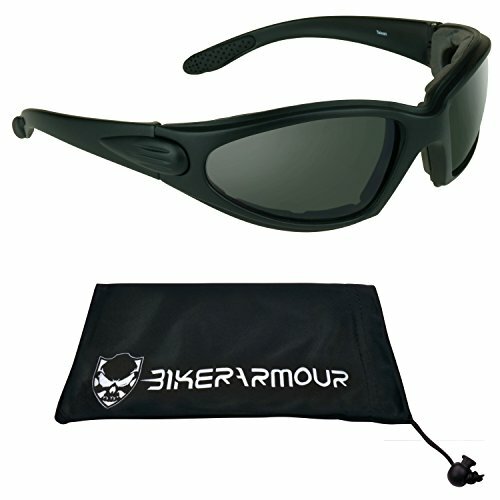 Therefore, as you shop for motorcycle sunglasses, you need to ensure that they come with UV protection. Remember, exposing your eyes to the sun’s ultraviolet rays might cause such serious eye issues as cataracts. Fourth, you might want to reach out for glasses that are ANSI-approved. These are the only types of motorcycle sunglasses that have undergone serious testing to ensure that they will protect the eyes of any regular rider. Although none of the lenses you will come across are completely scratch-proof, a couple of riding sunglasses are scratch resistant. Most of these come with a hard clear coat that will protect the glasses from the light nicks and scratches typical of ordinary polycarbonate or glass lenses. That said, you can also protect your bike riding sunglasses simply by cleaning the lens with a clean microfiber cloth. Most of the best motorcycle sunglasses come inside a pouch that also doubles up as the cleaning cloth. Most of the top-dollar riding glasses come with Polaroid lenses, which are designed to cut out excess glare and light. The lenses contain crystal to stop scattered light from getting to your eyes. Some manufacturers have taken to adding anti-fog treatment by embedding a semi-transparent layer to ensure the glasses are fog-free. If you do get these types of riding glasses, consider investing in special anti-fog products to make the coating even more durable than it might be. Dark colored tints on sunglasses for cycling tend to absorb more light, especially when you compare them to light lens found on the best bike glasses. Therefore, you need to pay close attention to the lens before you making an actual purchasing decision. Amber and orange tints, for instance, reduce blue light (one of the major contributors to glare). These glasses will also enhance detail, increase contrast, and brighten your visibility. You can, however, reach out for brown sunglasses – which minimizing the strain on your eyes while you are out riding. To ensure you don’t keep on buying new glasses on a regular basis, you might want to avoid those that have foam. Before you invest your money on glasses, you should understand all the features you need to get. Some of these features include how the sunglasses will fit over your prescription glasses (if you were some), ventilation, as well as snug fit. The most common lens colors of motorcycle sunglasses include red, yellow, some, and clear. If you are traveling at night, the best bet would be for you to choose clear lenses. 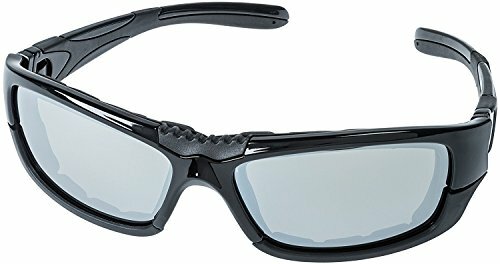 If you wish to carry your riding glasses around on a regular basis, you need to find a pair that also comes with a hard cover case or a pouch. Third, you might want to get glasses that will fit well over your prescription lenses. In the same way, you should check to see if the pair is adjustable and will go well with your particular head shape, size, and orientation. 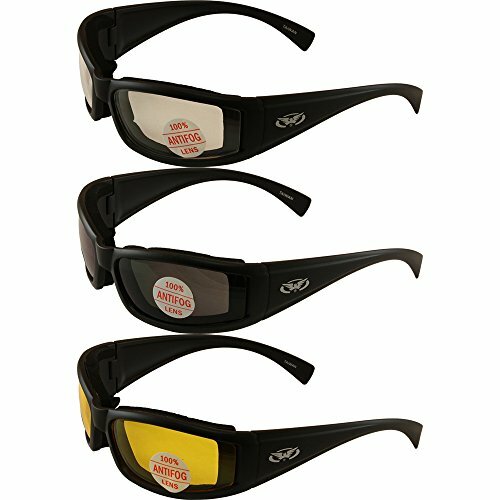 With so many options in the market, finding the best motorcycle sunglasses can be something of a headache. However, as long as you know what to look for, the requirements you have, and the budget you are working with, it shouldn’t be too hard for you to get the perfect pair of riding glasses. 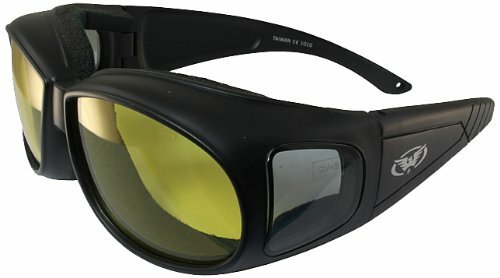 Although this review contains 5 of the best bike glasses, our bet would be the Motorcycle Riding Glasses from Get Lost (Tinted Lens). Not only are they safe and durable, they are also stylish. Further, they boast a wide variety of features that you will soon come to appreciate with time. Over and above everything else, you should spend some time researching the different options in the market before you make a final buying decision. This way, you will end up with the best motorcycle sunglasses for your particular needs, preferences, and working budget.